When you’re enjoying a day at the beach or a gorgeous day in the backyard, there’s nothing so relaxing as leaning back in your lounge chair and letting your worries go. What’s not so relaxing is having that chair collapse while you’re sitting in it and pinch your fingers, which is why IKEA is recalling a popular beach chair sold worldwide. 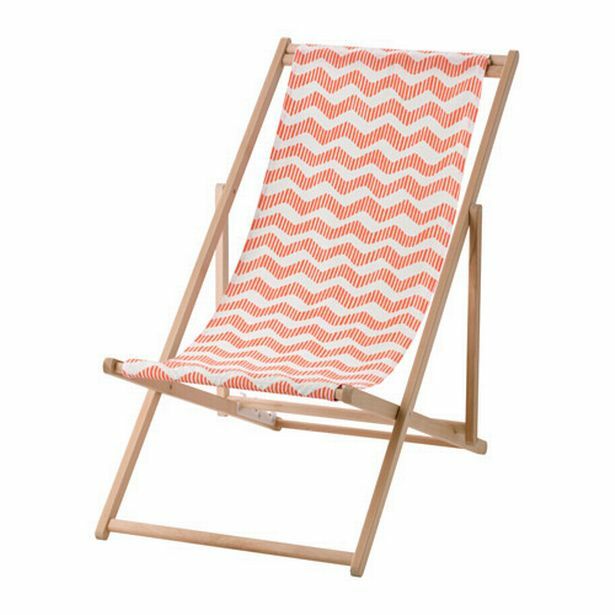 The Swedish retailer will offer a full refund to any customer who purchased the MYSINGSÖ beach chair, after receiving reports of the chair collapsing due to incorrect re-assembly, The Sun reports. The company said in a statement that it’d received five reports from the U.S., Finland, Germany, Denmark, and Australia where users were injured after the chair collapsed as a result of incorrect re-assembly. All five reports included injuries to fingers and required medical attention, IKEA said. “After washing the fabric seat it is possible to re-assemble the chair incorrectly leading to risks of falls or finger entrapments,” the company said, adding that a full investigation led to an improved design “to further mitigate the risks of incorrect re-assembly and injuries” and the updated chair will be available soon. Customers must return the chairs to IKEA stores before Jan. 31, 2017 to receive a full refund without proof of purchase.